Ever-growing stacks of files take up space, weigh you down and cost you money. 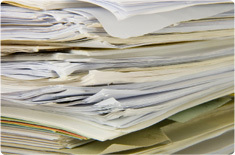 Docutrack and QS/1 eliminate these burdens from your facility. Let White Cross Pharmacy put your pharmaceutical information on demand, in one place. Docutrack and QS1 work together to offer efficient document organization and order processing, a digital filing cabinet instead of the clunky metal counterpart. These systems are state-of-the-art to meet the ever-changing needs of the pharmacy industry.